...or not. 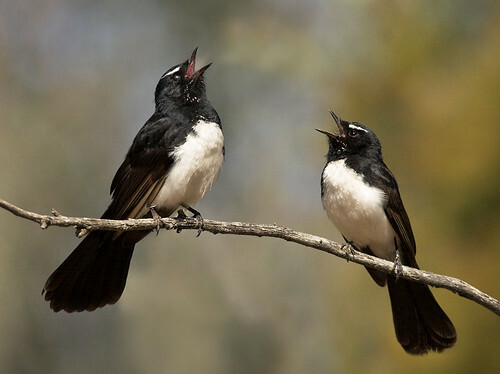 These Willie Wagtails may have been singing of territorial ambition or who knows what. I was extremely happy with a couple of these shots bec I've been trying for a year to get a decent shot of a wagtail. They are tough ones. Not sure if the one on the right is a immature but it is smaller.